Have you ever come across a flower in the wild and wished you knew what it was so you could give it to someone? Many people have, which is why there are apps to identify flowers. More than a handful of helpful mobile applications will let you snap a photo of a flower to find its name, or access a large database to match your find with a picture in the app. PlantSnapp makes it easy for you to identify and even buy flowers. First, you just take a photo of the plant, then the app tries to recognize it. If it does, it will give you the name of the plant, information about caring for it and the regions that are best for planting. Those who like what they read can purchase the flower from a HTA certified partner nursery. 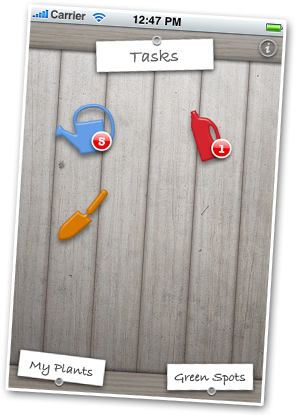 PlantSnapp is only available for iPhone. Another plant identifying app for iPhone, LikeThat Garden also lets you photograph a plant so it can try to recognize it. The app sifts through its database to look for a map, and once found, it offers inspiration for creating a garden using the flower. You’ll also receive care information for the identified flower. FlowerChecker is available for Android and it lets flower fanatics identify blossoms along with moss, fungus and many other botanical beauties. This is perhaps the most accurate of all flower-identifying apps. University of Maryland, Columbia University and Smithsonian Institute collaborated to develop Leafsnap, an app that identifies tree species. This app comes in handy, of course, when trying to identify flowers growing on trees. Snap a photo of the leaf and the app will compare your picture to a bank of images. It even does a decent job identifying tricky trees. Other flower identification apps to check out include NatureGate and iPlanzen.